An all rounder email marketing & lead capture tool for WordPress. When it comes to Email marketing, there are various WordPress plugins out there which you can use to increase the number of sign-ups. One reason which stops most of us from using them is due to lack of graphics and coding knowledge. I started eMail marketing using Aweber long back, but I never used any pop-up email sign-up before because I thought such pop-ups are annoying. I was so wrong with this thought of mine and I realized this after using OptinMonster plugin. One more reason for staying away from using Pop-up plugin is due to lack of graphics and coding skills. Having an eMail list is quintessential for any serious blogger and more over you need to ensure that you get a great number of new sign-up every day. You can read this guide to start with eMail marketing for your blog, and read on about this awesome lead generation plugin which you will end up using after the review. 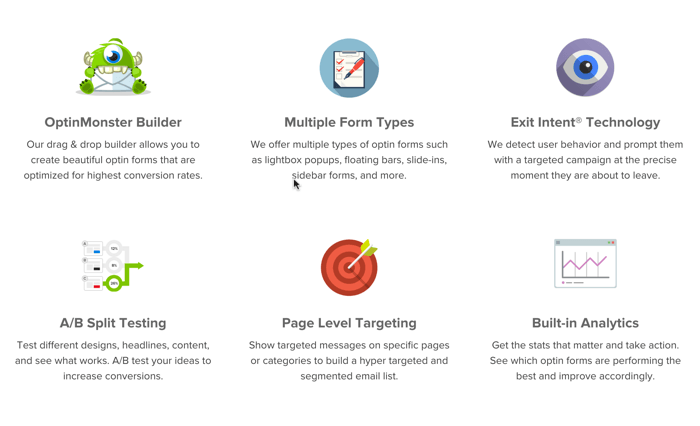 After years of waiting, I finally found OptinMonster plugin which is a popular lead-generation and eMail opt-in plugin for any WordPress & other platforms. 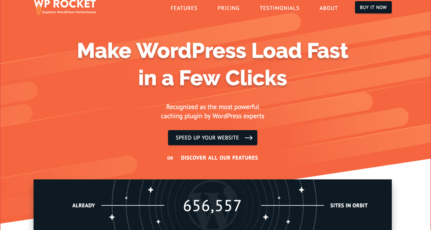 This plugin is developed by WordPress ninja Syed Balkhi and his team, and they are constantly updating it with new features. This is a complete solution to place eMail subscription form strategically at every part of your blog. In this article, I will share my hands on experience and review of OptinMonster plugin. 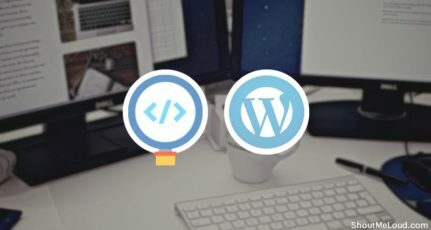 If you are a blogger with great writing skills but lacks in design and coding, this plugin will let you add Email subscription box at the various place which gives the result. 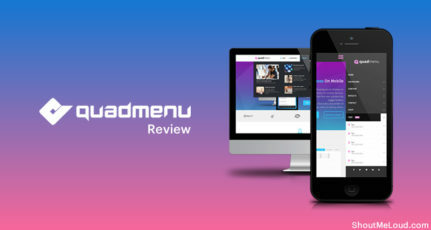 Before I share my experience, let me share features of this plugin which make it outstanding. OptinMonster plugin is created for real-people by real-people, and what I meant here is: this plugin gives result and not just adds functionality. 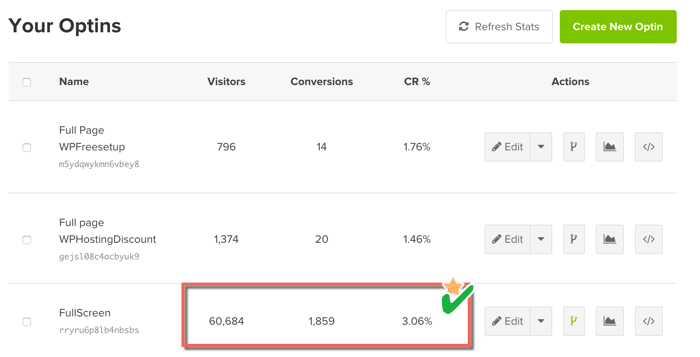 You can do stuff like A/B testing, Page level targeting and use existing Optin form design to create highly convertible Email subscription box on your blog. It supports all popular Email marketing services such as Aweber, Infusionsoft, Mailchimp, GetResponse to name a few. 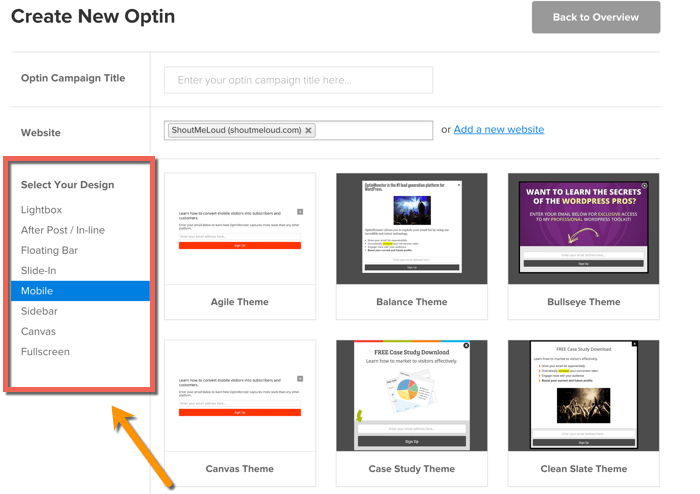 With OptinMonster, you can create Pop-up Email subscription form within minutes. All you need to do is select the design which you want to use, make changes such as text, colour and your pop-up subscription form is ready. The pop-up form is highly configurable as you wouldn’t like to repeat the pop-up for your returning readers. Along with this, you can create multiple variations of same Optin form and make small changes such as “text of submit box” or “colour of submit box” and let the plugin do all the A/B testing for you. After running the A/B test for a couple of days, you can pick up the form which is generating maximum leads for you. The best thing here is, you don’t have to sit constantly and monitor everything, once you are done with Initial set-up, Optinmonster will do all the work for you. I would suggest you spend initial 15-20 minutes at the time of set-up which will save hours of your work in future. For One of the biggest limitation of OptinMonster was the lack of full-screen welcome gate optin which is popular in 2016, and in the recent updates they have also added full page opt-in feature. In the below screenshot you can see how effective Full-page optin is for ShoutMeLoud. 3.06% is indeed a great conversion for full-page optin & it’s also mobile optimized. I don’t want to sound like Steve Jobs here, but this product has features which made me use it. Let me talk about one OptinMonster feature that will make a huge difference to turn your one time readers into a subscriber. OptinMonster offers exit intent technology, which shows eMail optin form when a visitor is about to leave your site. It tracks the mouse movement of the reader, and when they about to click the close button, it shows the pop-up with your eMail optin box. This way you still have one more chance to generate a lead from someone who is as it is abandoning your site. 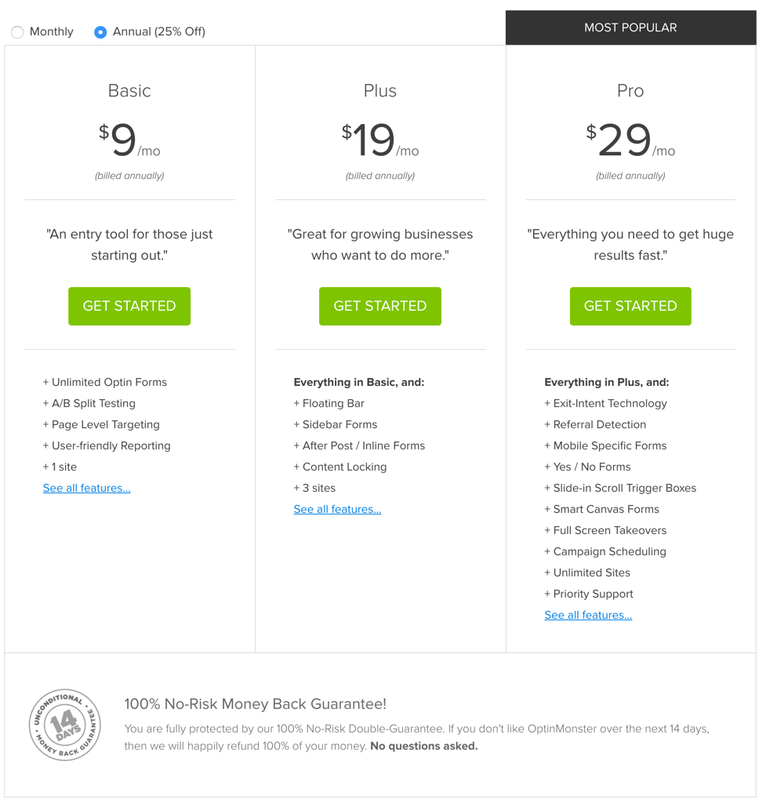 If you are finding $199/year to be on higher side, I believe you still not to understand the importance of email subscriber. With plugins like Optinmonster, you are more likely to convert & grab subscribers who really matters. More over, they keep adding the new feature which is free for existing users. Conclusion: Is OptinMonster worth it? OptinMonster is for bloggers or internet marketers who believe in investing in right technology to get the maximum ROI. This plugin will require a minimal amount of work, and you can double the number of eMail sign-up within no time. If you are some one who doesn’t like the idea of Email pop-up, you have other options like Sidebar eMail OptinForm, After the post, Slidein, Mobile eMail Optin Form to make most out of it. Overall, OptinMonster is a complete value for money. It comes with 14 days no question asked refund policy, so if you don’t find OptinMonster is unceasing your eMail signup, you know what do do next. Are you also using OptinMonster WordPress plugin for capturing email subscribers? Do share your review & experience with us. Thanks for pointing it out, I have updated the post with the information. Indeed OptinMonster Pro license is a great deal with cool features. Hi Harsh, thanks for the review. But, there is one more question that i want to ask you. 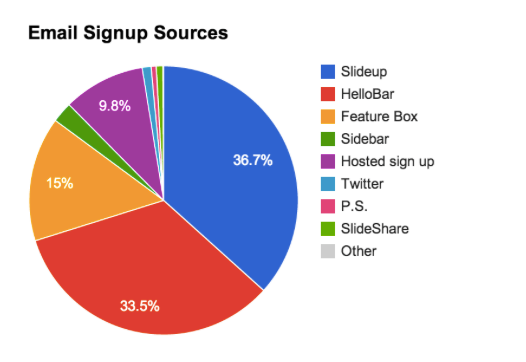 What percentage of affiliate content should be there on a blog? For example- If i am writing 20 blog posts per month, is it good to write 10 blog posts (i.e. 50 percent)including affiliate links? Could you please write a blog post covering all the aspects of affiliate marketing? So, i will get enough understanding to start with it. What about Ultimate it says it has life time, how many years included in lifetime. No doubt an email list is the actual Digital Asset any blogger, marketer, corporation or brand can have. If google ditches you, your list can save you if your site gets hacked (you lose the backup) your list can help you start fresh and build it again. 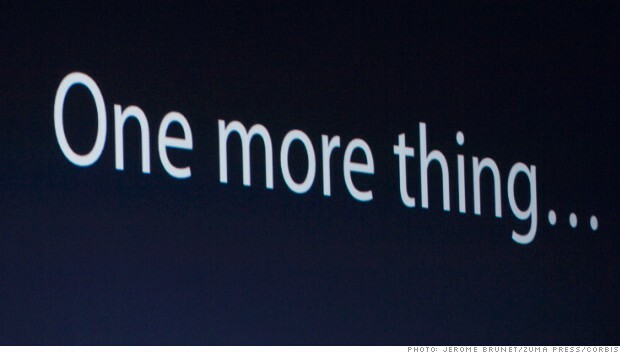 Most of the amateurs refrain from collecting email because they simply don’t know what to do with it. It would be a great resource if you create an article showing the complete process of list building and how to communicate with your readers or prospects & real examples of your campaigns. Basically, what are the types of emails and how to write them and how to pitch it to your prospects without bothering them. Sorry if you have already published it, your blog is mammoth & it’s nearly impossible to scan it all. Thanks for sharing a detailed review of OptinMonstor. It is indeed a great solution for bloggers and affiliate marketers for getting more leads. Thanks Harsh for sharing this exclusive optinmonster review. 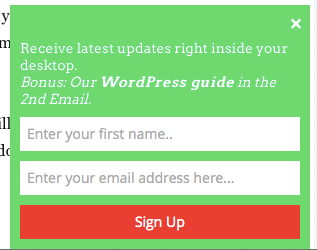 The exit intent popup is the ultimate feature to capture users email id while leaving your site. Thanks for the information. I have reached the point where I really need to start capturing emails and I’ve been agonizing over my options. I am a broke blogger so if I am going to put a money investment in, I need to get the maximum bang for my buck! I’ve eyed Optinmonster for awhile. I’ll link over there.